An increased concentration of air pollution within metropolitan areas is associated with progression in coronary calcification and with acceleration of atherosclerosis, according to a study published in The Lancet. In the prospective, 10-year cohort study, Northwestern Medicine scientists and collaborators at other institutions repeatedly measured coronary artery calcium by CT scan in 6,795 participants aged 45 to 84 years, who were enrolled in the Multi-Ethnic Study of Atherosclerosis and Air Pollution (MESA Air) in six metropolitan areas in the U.S.
At Northwestern, Martha Daviglus, MD, PhD, adjunct professor of Preventive Medicine and of Medicine, was a co-author of the study. 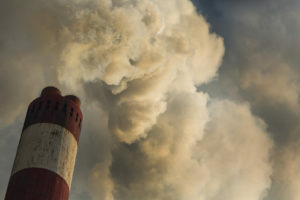 The investigators examined the association between both progression of coronary artery calcium and carotid artery thickness and long-term exposure to ambient air pollutant concentrations. The study found that coronary calcium increased on average by 24 Agatston units (a clinical measure of calcium) per year, and intima-media thickness (a measurement of the thickness of the innermost two layers of the wall of an artery) by 12 micrometers per year, before adjusting for risk factors or air pollutant exposures. The research was funded by the Environmental Protection Agency and the National Institutes of Health.